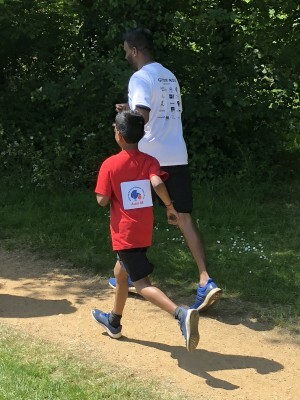 This is an amazing story of an eight year old boy, Ajesh Sanjeev Nadeswaran, who was going to run Gerrards Cross 5km Fun Run (‪https://gxfunrun.org.uk/home ) to raise funds in support of Assist Resettlement & Renaissance (Assist RR) to help patients with heart disease in Sri Lanka. 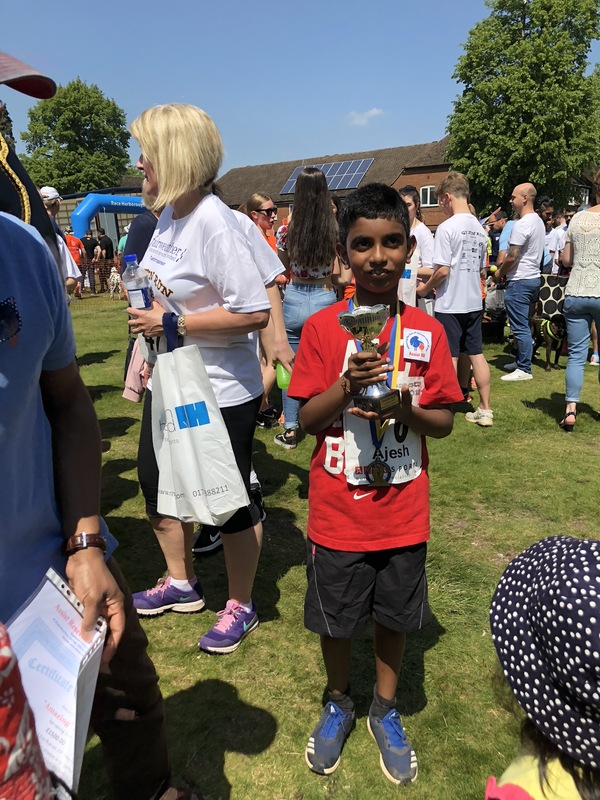 As planned, Ajesh, who is from the UK, successfully ran the 5km today and so far raised a magnificent sum of £1685 including gift aid. Although he is a child, he has a kind heart to assist the needy by causing pain to himself. Assist RR have no words to thank him. He has set an example to all of us. 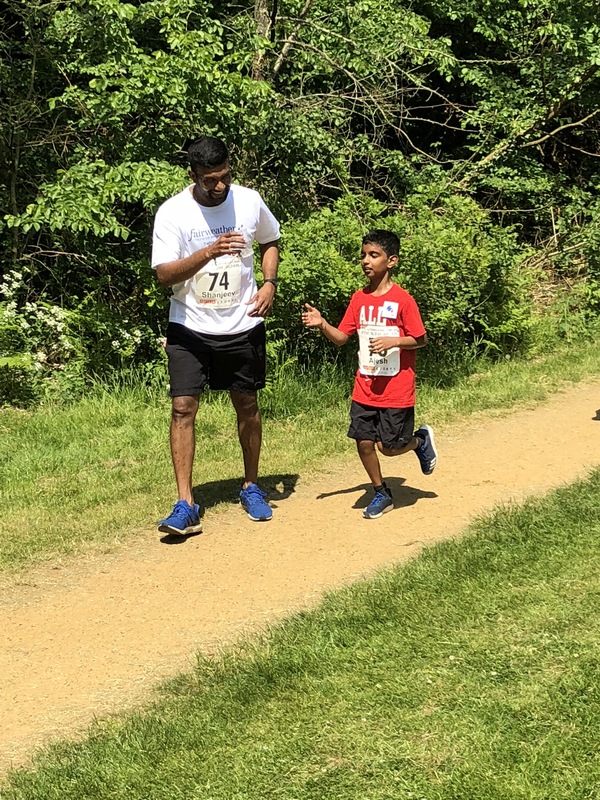 Assist RR’s sincere gratitude to Ajesh. 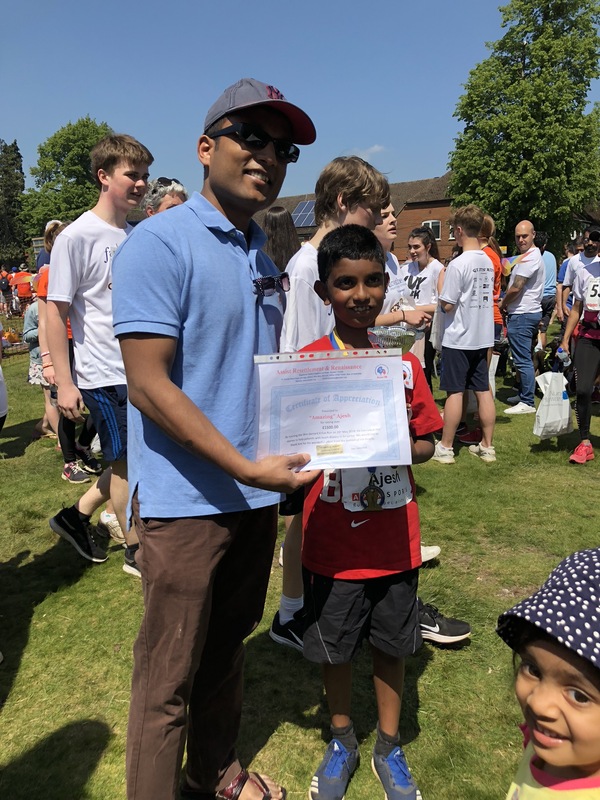 Dr Mayooran Shanmuganathan attended this event and handed over an appreciation certificate and a trophy on behalf of Assist RR at the end of his 5km run. His funding raising page is given below. Please consider supporting this child’s effort and make it even more successful. I attach some photos and a link of a video clip.